It's never easy when we get a phone call at the sanctuary telling us that a sloth needs our help. On this occasion, we were told that a beautiful two-fingered sloth had been electrocuted on the power lines and was in trouble. The gentleman told us he would collect the sloth and bring her to the sanctuary – but he never arrived. We assumed the worst had happened and that she hadn't survived. We were wrong. Three days later, we received another phone call. 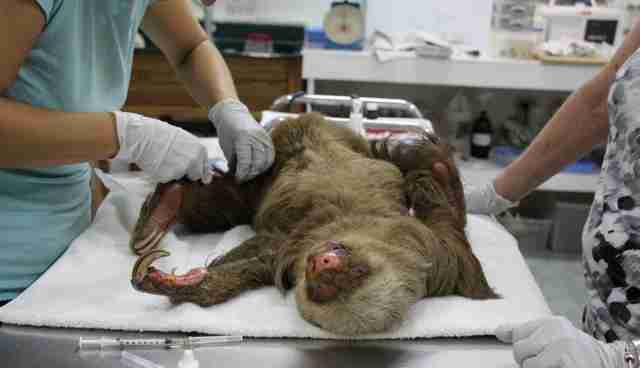 The sloth was still alive and desperately needed medical attention. Not wanting to waste another second, we jumped into my little car and drove 45 minutes to where the electrocuted sloth was last spotted. It didn't take us long to find her, and she was in a terrible state. She had apparently climbed onto the electric wires and the shock she received knocked out the power in the surrounding area. She had fallen to the ground and after regaining consciousness, crawled across the ground and up the nearest almond tree. The fire service had been called out to collect her, but after seeing the extent of her injuries they apparently decided she wasn't worth rescuing because she wouldn't survive. Three days later when we arrived she was still surviving, proving everyone wrong. 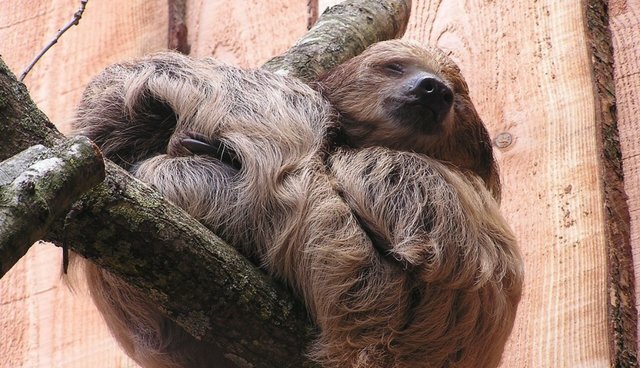 We have known for a long time just how tough sloths are, and it's sometimes hard to describe. I think this story demonstrates perfectly. The electricity had passed though the sloths' left arm and out of her nose. Her skin had been burnt off and her eyes were completely sealed shut. We quickly anaesthetised her and put her safely into a travel crate for the journey back to the sanctuary. Just before we left, we were alerted to another sloth emergency. 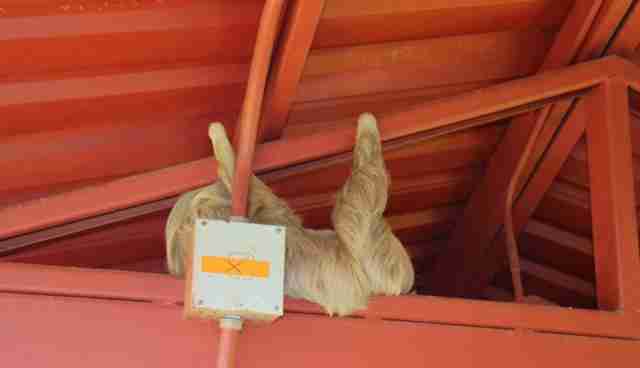 Barely 10 meters away, another two-fingered sloth was snoozing on top of an electricity meter. He was inches away from electrocuting himself. We took the decision to relocate him away from the dangers of the city and release him into the large protected forest surrounding the sanctuary. Having initially come to rescue one sloth, we left with two. They were fondly named Jack and Jill. Once back at the sanctuary, we released Jack into a large almond tree in our soft release enclosure to observe his movements and ensure he had no injuries. Everything was fine and so he was released into the surrounding forest (well away from power lines)! We immediately set to work treating Jill's injuries. After a lot of attention, careful monitoring and countless bandage changes, I am delighted to report that Jill appears to be doing great. The skin on her face is healing well, her eyes have opened and her arm is slowly healing. She still has a long way to go but she has a ferocious appetite for almond leaves, a sweet personality and a strong will to survive – all of the essential ingredients for a full recovery! Hopefully she will soon be joining Jack out in the forest and away from electricity wires. It's a sad story (hopefully with a happy ending), but unfortunately this is the reality of the situation we face here in Costa Rica. The Sanctuary has rescued countless sloths over the past 20 years who have been electrocuted, and not all of them survive. 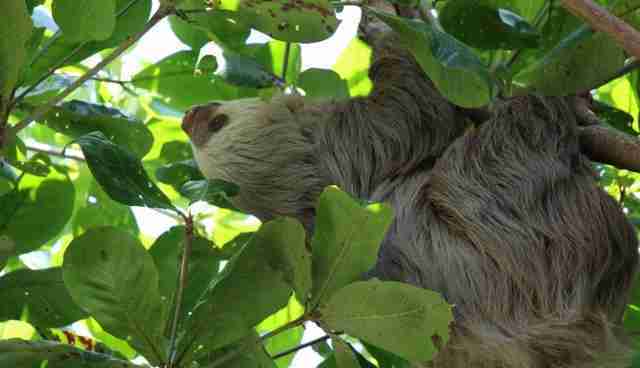 Sloths do not adapt well to an urban environment. They have evolved over 64 million years making them perfectly designed for a quiet life in the rainforest, but we are encroaching on their habitat much faster than they can adapt. The key to a successful future lies in education and raising awareness of these issues. We desperately need to protect what remains of their habitat and develop conservation strategies to ensure humans and wildlife can coexist, side by side, with minimal disturbance. Sloths are having their (well deserved!) moment in the spotlight right now, and we all need to take advantage of this popularity to raise awareness of the more serious challenges we face.